This week Kenneth and I were joined by Matt Brown from Sports on Earth. We dissect Dane Brugler’s latest mock draft at CBS Sportsline, discuss Leonard Fournette and end with a diatribe on Andrew Luck. Despite the angst and booing at Century Link Field, it wasn’t a surprise to see a sluggish first half Seahawks performance and eventually a comprehensive 26-0 win. Yes, this was an injury-ravaged Bears team missing several key players including their quarterback and #1 receiver. Chicago also has a veteran, respected (ultra-conservative) Head Coach in John Fox and two of the best coordinators in the NFL. Vic Fangio was the driving force behind San Francisco’s excellent defense under Jim Harbaugh. Adam Gase is a talented game-planner who conjured up an offensive scheme that tested but didn’t really threaten Seattle’s unit. Fox is well known for his love of the running game. It wasn’t a total shock to see Chicago run effectively to start the day without getting into range for even a long field goal. After half-time Seattle pulled away with some key second half adjustments — out-gaining the Bears 162 yards to 24 in the third quarter — not including Tyler Lockett’s franchise record 105-yard kick return for a touchdown. The Bears crossed into Seattle territory once. The Seahawks ended a 194-game Chicago record for shut-outs. Every Bears possession ended in a punt. The impatient boo’s in the first half were not a good look for the 12th man. Even so, it’s clear the Seahawks are still trying to find a rhythm on offense. And that’s fine. New England, Atlanta and one or two others have hit the ground running. The rest of the league are still working to find their true identity, Seattle included. Darrell Bevell will continue to be scapegoated as the ‘face’ of the problems. In reality he didn’t drop a first-half pass (Thomas Rawls, Ricardo Lockette) that would’ve otherwise sprung big gains. He isn’t the one tasked with providing a functioning offensive line with his own hand-picked players (Tom Cable). Bevell received criticism for calling a bubble screen to Jermaine Kearse and perhaps rightly so. He didn’t get any credit for the detailed, developing route Kearse executed before half-time for a significant gain. Such is the life of a play-caller. There are several reasons why Seattle’s offense isn’t firing on all-cylinders at the moment. Marshawn Lynch’s latest mysterious disappearing act didn’t help to start the game (he eventually left for good with a hamstring issue). They clearly want to feature Jimmy Graham without shifting their focus too far from the original identity. Russell Wilson has not had a brilliant start to the new season either. Early in games he’s missed that spark — either as a scrambler or as a passer. Does he trust the offensive line? Garry Gilliam was beat like a drum by Pernell McPhee. J.R. Sweezy had two ugly plays early on. Tom Cable was tasked with putting a functioning O-line on the field. Right now the line is a major weakness. It’s also impacting Graham. Yes, it’s ugly to see him face McPhee off the edge. It’s also necessary to keep the tight end blocking if the O-line is struggling. At this early stage it seems clear Seattle’s priority in the draft next year is to find an offensive line starter/upgrade. Somewhat concerning are the issues experienced on two key target areas this season — short yardage and red zone. The Seahawks still can’t punch home a 3rd and 1. They went 0-6 on third down in the first half. They had three plays in the red zone and settled for a field goal before the break. It’s shocking that a team with Lynch, Wilson and Graham can be this ineffective in the key downs. Lockett’s 105-yard kick return touchdown ignited the second half. Seattle didn’t score enough cheap points last season or generate enough special teams yardage to flip field position. This is looking like a diamond of a draft pick for the Seahawks. Graham had the kind of day that will extinguish any silliness about his role in the offense. He finished with 83-yards and a touchdown from seven catches. Of greater concern is the Lynch ‘not ready for the start’ report, the back-rub and the eventual withdrawal. It seemed like a repeat of the 2014 Kansas City game and subsequent rumblings about his unhappiness and attitude. Is it related to Kam Chancellor’s issues with the team? This is one to monitor. Thomas Rawls had a really nice 104-yard game in relief of Lynch. It wasn’t a perfect display — the dropped pass and a missed cut on one run denying him further substantial yardage. He ran with a lot of purpose and on this (early) evidence appears to be an upgrade on previous backup Robert Turbin. There are still improvements to be made but unlike the Ravens, Seattle isn’t facing a 0-3 hole. Unlike the Colts, they did find plenty of positives. — Leonard Fournette (RB, LSU) could be the #1 pick in the 2017 draft. Who cares if he’s a running back? We’re talking about a generational talent with zero flaws. He runs away from DB’s at 6-1 and 230lbs. He has brilliant vision, a second gear, the power to drive through and break tackles and the hands to be an effective force in the passing game. He’s 20-years-old and already looks like he’s pushing 30. Against Syracuse he was unstoppable — recording 244 yards and two touchdowns. He had another +80-yard scoring run called back on an illegal formation penalty. Physically there just hasn’t been a player entering the league with this amount of talent in over a decade. He’s on a different level to even Adrian Peterson. Whoever has the #1 pick in 2017 will need a good reason to pass on Fournette. — Tre’Davious White (CB, LSU) is already the best corner in college football and was given the coveted #18 LSU jersey this year. Against Syracuse he showed he’s a special teams threat too with a 69-yard punt return for a score. The Tigers have quite the production line for CB’s. White is the next great one and should be a top-ten pick in 2016. Water-tight coverage, a good enough tackler in the open-field, fantastic athlete, incredibly respected by his team mates. NFL GM’s and coaches are going to want to work with this guy badly. — Vernon Hargeaves III (CB, Florida) on the other hand is tremendously overrated. A highly touted prospect who started early, Hargreaves is living off reputation. In Saturday’s flukey win over Tennessee, Hargreaves missed several open-field tackles and became a liability. Florida is developing quite a reputation for over-hyped corner prospects (with Joe Haden the obvious exception). Hargreaves’ future is likely as a slot corner project and unless he impresses during interviews at the combine (and runs well) he might be fortunate to go on day one in a loaded class for corners. — Robert Nkemdiche (DE, Ole Miss) has 0.5 sacks in four games so far — but he should still secure a place in the top-10 of next years draft. Teams will salivate over his athletic potential. If Ziggy Ansah is a top-five pick, it’s safe to place Nkemdiche in that bracket. He’s already scored a tight-end-esque catch-and-run for Ole Miss this year. On Saturday he added a rushing touchdown against Vanderbilt. A bit more production would confirm he’s place among 2016’s elite — but there aren’t many human beings with Nkemdiche’s size and athleticism. — If Leonard Fournette is the best player in college football and a shoe-in to go very early in 2017 — Myles Garrett (DE, Texas A&M) will be right there with him. Also a true sophomore, Garrett had a crucial sack against Arkansas to force overtime before the Aggies eventually won. Last week he had 3.5 sacks against Nevada and he’s on 6.5 after just four games. He is lightning quick off the edge with ample size (6-5, 260lbs). It’s way too early, but Fournette and Garrett could go #1 and #2 in 2017. — There were two injury scares this weekend. Darron Lee (LB, Ohio State) left the Buckeyes game against Western Michigan with a leg injury. At the time it looked serious but he did return. Jack Conklin (T, Michigan State) suffered a knee injury playing special teams and it could be serious. Mark Dantonio, a well known misery guts, refused as usual to discuss any injuries after the game. Hopefully it’s just a sprain. Both players are possible (probable?) first round picks in 2016. — We discussed Jared Goff (QB, California) this week. If he’s going to propel himself beyond comparisons to Brock Osweiler (not unflattering by the way, Osweiler had many plus points) he has to win games against Washington and perform well in the process. Job done this weekend. His first touchdown pass was particularly impressive — off balance, thrown into a tight spot and perfect accuracy. If you want to throw your lot in with any QB eligible for 2016 — this is the guy. — Tre’Davious White (CB, LSU) and Eli Apple (CB, Ohio State) could be the first two corners off the board in 2016 — but they’ll be well supported in round one. Will Redmond (CB, Mississippi State) showed good instincts to pick off Auburn’s freshman QB in a key SEC win. Cameron Sutton (CB, Tennessee) was tremendous against Florida and the Gators tried their best to avoid throwing his way. Kendall Fuller (CB, Virginia Tech) has the bloodlines and talent to also push himself into day one. — After a frustrating day against Toledo, Alex Collins (RB, Arkansas) is showing why he could even usurp Ezekiel Elliott (RB, Ohio State) to be the top running back in 2016. He ran with purpose against Texas A&M for 151 yards and a score. He has good size and speed — but his best aspects are a physical running style and unmatched cut-back ability. You won’t find a better cut in college football. Given Seattle’s love for one-cut runners, he has to be on our radar as possible Seahawks targets. Watching a game? A certain prospect? Someone catch the eye? Use this as an open thread to debate the day in college football. Even at this early stage it’s shaping up to be a draft where linemen dominate the early picks. The talent on the defensive and offensive lines is strong — and there’s a very real possibility there won’t be a quarterback drafted in the first round. Not unless a player emerges to fill that slot, much in the way Cam Newton and Blaine Gabbert barged their way into 2011’s top ten. I spent a bit of time today looking at Cal’s Jared Goff — and he’s probably the best bet for a first frame QB. He has a very natural throwing motion and plenty of arm talent. One of the first things to look for in a quarterback is how comfortable and natural they look throwing the ball. Does it come out nicely with a tight spiral and the necessary velocity? Can they vary the pace and throw with touch? Seattle’s quarterback opponent on Sunday — Jimmy Clausen — was a classic example of a player with a funky motion who didn’t tick any of the necessary boxes. He had a slingy side-arm release point. Most of his throws were one paced — the downfield stuff was catchable but lacked any real punch. He benefitted a lot from Golden Tate’s ability to high point. Even so — most of Clausen’s throws were screens or extended hand-off’s to the receiver. It doesn’t always have to be a conventional over-the-top release and the technique doesn’t have to be spot on — but you can usually see when a passer has a very natural throwing style. That’s really the first thing to look for. Then you go into things like the ability to go through progressions etc. Ryan Tannehill is a good example of a player who threw very naturally but struggled in the next stage of the game — he made two many errors at the line of scrimmage — failing to identify the coverage, throwing blind, turning the ball over. He still makes the same mistakes today. Goff is a very natural passer who can vary the throwing speed. He can fit it into a tight window in the short game but also has the touch and arm strength to get it deep. He looks comfortable and refined. He’s also surprisingly athletic at 6-4 and 215lbs — he’s elusive to avoid pressure but also a nifty runner in the open field. Goff isn’t Russell Wilson, but if there’s a chance to scramble into space and make a first down he’ll do it. Is he accurate? Sure. He doesn’t force anything and avoids turnovers. He seems to understand the offense — he doesn’t bail on the call in the face of pressure and know how to be patient in the pocket. There’s a lot to like and very little to quibble about. He reminded me a little bit of Brock Osweiler. It’s easy to sit here and assume Osweiler is a failure considering he hasn’t played any meaningful football in three-and-a-bit seasons. He was, after all, taken in round two ahead of Russell Wilson who’s been to two Super Bowls in the same period of time. However, Osweiler has been stuck behind Peyton Manning with zero chance of supplanting the incumbent starter. He may get his chance next season (although he would require a new contract in Denver). John Elway liked him enough to draft him in the early second round as a project and he played pretty well in pre-season. Like Goff he’s tall and thin with surprising mobility. Osweiler frequently avoided pressure and made gains with his legs. He threw with poise and accuracy in the face of pressure and made several ‘wow’ throws for Arizona State. We’re yet to see Goff deliver some of those same money throws — but there’s still time in 2015. Osweiler threw some of the prettiest passes you’ll see — right into tiny windows under pressure. It’s easy to forget three years on. Both players also failed (so far in Goff’s case) to propel their team to a new level. Osweiler constantly flashed talent and then made costly mistakes in key games. It wasn’t always turnovers either — drives would stall unnecessarily. He wasn’t a room-tilter or a game-changer in college. He was simply a really talented individual with huge potential. Goff’s Cal career has followed a similar path — although the supporting cast hasn’t been great. They’re currently 3-0 in a wide open PAC-12 and maybe he’ll be able to elevate his team and therefore his own draft stock in the process? Osweiler was a second-round pick in a year for quarterbacks that included Luck, RGIII, Tannehill, Weeden and Wilson. Goff won’t have that level of competition and could, even by default, find himself in the day-one mix with a good season. Right now a safe second-round grade seems appropriate, just like Osweiler, with a chance to rise. Keep an eye on North Dakota State’s Carson Wentz. We highlighted him at the start of the season as one to watch. He’s a small school prospect who could really propel his stock (much in the way Joe Flacco did at Delaware or Jimmy Garoppolo at Eastern Illinois). He’s 6-6 and 235lbs but runs the read-option. Like Goff he’s a surprisingly nimble runner and the QB-keeper is a regular feature in the NDS offense. There’s an awful lot to like about his throwing style — again it’s very natural. He has a good arm, throws with touch when necessary and makes a lot of plays. There are some issues too. He doesn’t always scan the field like he should do — in the tape below there’s a play where he throws underneath with a wide open receiver streaking downfield for an easy touchdown. Wentz never even looks at him and just goes to his first read. This is the type of thing he’d need to work on at the next level — but it’s fixable. In a down year for the position don’t be surprised if Wentz ends up being the top rated senior QB. In last night’s podcast we discussed why it made sense for Chancellor to report this week (and it’d make our day if you were to check it out). He was losing money. The team was losing games. He wasn’t gaining anything from staying away because the Seahawks weren’t going to cave. Seattle is at home for three of the next four games. All four are winnable. In fact there’s an opportunity to go on a reasonable winning streak. The Bengals road game on October 11th will be the toughest test. Dallas on November 1st is much less threatening if the Cowboys are without Dez Bryant and Tony Romo. It’s not unrealistic to suggest the Seahawks can go unbeaten until December. Even if you have the Cincinnati game down as a loss — you could be looking at an 8-3 record going into the final month (which starts with road games in Minnesota and Baltimore). The Seahawks finished extremely well in 2012 and 2014 (and didn’t have to in 2013). In reality they were going to start winning without him eventually, weakening his position. This is the only way for both sides to ‘win’ this stand-off. The Seahawks can say they were strong and their stance should dissuade other players from holding out into the regular season. Chancellor also has a stronger case for getting more money pushed into his 2016 salary if he helps lead the team back to another Super Bowl from an 0-2 start. For both parties the season really starts here. The Seahawks could be 1-1 or 2-0. They aren’t. But they have a healthy roster, all of their key players and a shot to start a long winning run against the hapless Bears this weekend. No, the Seahawks season isn't over. Far from it. But they sure have eliminated a good portion of their margin for error. For the third game in a row, the Seahawks found a way to lose in the fourth quarter. The Super Bowl. The St. Louis game. The Packers game. Seattle had a four-point lead, all the momentum and the atmosphere in Lambeau Field was becoming increasingly nervy. A combination of Aaron Rodgers brilliance, a conservative defense and a key turnover means the Seahawks are in an 0-2 hole after the first two weeks of the season. — Despite well publicised struggles against running quarterbacks, Russell Wilson was a non-factor as a runner in the first half. Why did it take until the second half to get the quarterback moving? Green Bay were dazed during Seattle’s two drives immediately after half time. Looking at the damage Colin Kaepernick did to Dom Capers’ defense, it was hard to watch Wilson avoiding the keeper. Green Bay prepared for the zone-read hand-off to Marshawn Lynch, took it away and had little trouble in doing so. — Jimmy Graham had one catch and two targets. The Seahawks didn’t know how to build an offense around Percy Harvin and now they’re struggling to make use of another big name target. They have to be prepared to scheme around getting Graham into favourable match-ups (and then throw him the ball) otherwise this’ll end up being another wasted first round pick. This has to be a growing concern after two weeks. Graham is being lost in the same way Zach Miller became ineffective as a pass-catcher — except Graham is an inferior blocker. In a big NFC match-up on the road Graham has to have more than one catch for 11 yards. Has to. And that’s not taking anything away from Green Bay’s defense. The thing is, every defense prepared for Graham in New Orleans — and more often than not he dominated anyway. — For large stretches the defensive performance was an upgrade over last week in St. Louis. Rodgers was limited after a sound opening drive. Yet as the game wore on and as Green Bay quickened the pace — Seattle had no answer. They didn’t blitz and were picked off using a soft zone. They struggled to create pressure using three and four man rushes in the fourth quarter. They also started to miss tackles and gave up some running gains. Still, it was better than week one. — For the second straight week a healthy Seahawks roster (minus Kam Chancellor) lost to a beat-up opponent. St. Louis were missing their best two running backs plus their best two corners for a portion of the game. Green Bay were without Bryan Bulaga and Letroy Guion and lost Eddie Lacy early on. Davante Adams also injured his ankle and played hurt. — For a team that has always been about finishing — the last three games have been agonising. Seattle shouldn’t have blown a 7-point lead to the Rams. The way they ran out of steam in this latest contest is partly due to Rodgers (perfect in the fourth quarter) but also on Seattle. Wilson has avoided turnovers in his career but was caught out on a covered screen play. It prevented the Seahawks from responding with a seven-point deficit and handed Green Bay minutes off the clock and a field goal. — 0-2 isn’t a disaster, even with the Arizona Cardinals reaching 2-0. Home games against two other 0-2 teams — Chicago and Detroit — will provide an opportunity to reach parity. A week eight trip to Dallas appears less threatening if Tony Romo and Dez Bryant are both unavailable. Even so, the margin for error is tiny now. The Seahawks have lost 50% of the games they lost last year already and have to go to Cincinnati, Baltimore, Dallas, Minnesota, San Francisco and Arizona. There’s a reason only around 11-12% of 0-2 teams make the playoffs. They need a spark to get the season going. 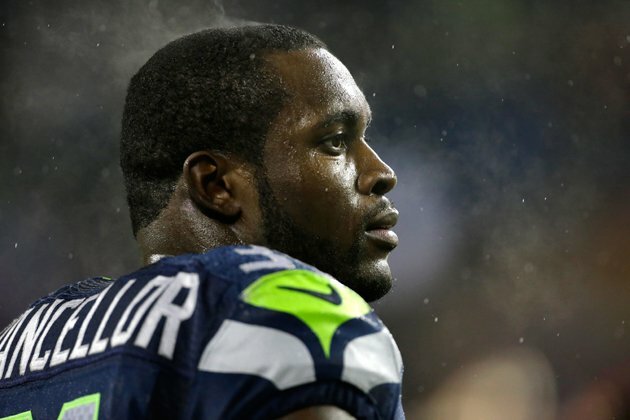 Are we edging closer to a Kam Chancellor trade? On August 27th we discussed the likelihood of Kam Chancellor’s hold-out lasting beyond week two. The only possible leverage he can muster is if the Seahawks start 0-2 and panic. Both sides are digging their heels in and it’s unlikely two road defeats will force Seattle’s hand. They also know the money Chancellor owes in fines is starting to stack up. Having gone this far, the Seahawks aren’t going to be the ones to budge. So it’s up to Chancellor. Clearly Ray Lewis’ strong words (re-tweeted by Chancellor on his Twitter timeline) haven’t pulled at the heart strings. So what might he consider if Seattle does lose in Green Bay this week? — Potentially he could return knowing the Seahawks are at home in three of the next four games and have an opportunity to go on a winning streak. He’d probably have to pay some or most of the fines accumulated so far, but he might feel his negotiating position is strengthened for another tilt at an improved contract in the off-season. If he can point to 0-2 without him and a four game winning streak on his return, he might think this was all worth it if a new deal is signed in the spring. — He could also continue to hold-out in the hope Seattle continues to lose and feels obliged to act as pressure increases to get Chancellor back in the team. It’s fanciful to think the Seahawks would capitulate even in the worst case scenario of an unexpected prolonged losing streak. Stranger things have happened though — and this team won’t want a wasted season right in the middle of a Championship window. If there’s no progress after the Green Bay game — suddenly those phone calls over a trade might actually warrant a longer response than a firm “no”. Eventually they have to be able to move on from this. It can’t dominate every press conference and every analysis of every defensive performance or defeat. As much as the Seahawks want Chancellor in their line-up — they also can’t have this shadow cast over the 2015 season. Would it be giving in to the player to deal him? Not really. The Seahawks need to send a message. Either you want to be here or you don’t. There are other teams, sure. But there are very few facilities like the VMAC, very few coaches like Pete Carroll and very few home-field advantages like Century Link. More importantly, there are very few teams with the talent to make back-to-back Super Bowls — and get there again in the future. Look at the New England Patriots. How did Deion Branch’s hold-out end up? He went from Super Bowl MVP catching passes from Tom Brady to the last throngs of the Mike Holmgren era in Seattle, struggling to make an impact. Sometimes the grass isn’t always greener, even for a few more bucks. The Pats have to be used as an example here. They’ve consistently known when to move on. Branch in 2006, Richard Seymour in 2009, Randy Moss in 2010. Chancellor is much more important to Seattle than any of those players were to New England at the respective times they were traded. But what use is Chancellor to the Seahawks if he’s refusing to play — eating $250,000 a week in the process? If there’s a fear trading Chancellor will encourage further unrest — bring it on. Build the team around those who genuinely want to be in Seattle. There are plenty of players who will come and play for this team. The Seahawks would inherit a significant dead money charge for dealing Chancellor but they’d be taking the hit in 2015. That’s workable if not ideal. At what point has any of this saga been ideal for either party? I doubt either the Seahawks or Chancellor want it to come to this — but eventually the team has to do what is best for them. Just as Chancellor feels this lingering hold-out is in his best interests. If a team calls offering a 2016 first round pick — do you start considering a deal with no sign of a breakthrough? It’d be a hefty price for a strong safety — yet Chancellor’s stock is growing and will continue to grow if the defense struggles without him. For that reason a parting of ways might be one or two weeks away unless a compromise can be reached. If an 0-2 start doesn’t act as a catalyst to compromise, what will? Very quick into his breaks for a big receiver. Combines size (6-3, 210lbs) with plus speed and fluidity as an athlete. Destroyed one of the best cornerbacks in college football (Virginia Tech’s Kendall Fuller) with a superb stop-and-go move for a long touchdown in week one. Won’t put up gaudy numbers (Urban Meyer’s teams never have a go-to receiver) but very much a first round candidate. The latest top corner off the LSU production line. Jalen Collins headed for the NFL despite an excellent 2014 season because he feared losing his job to the other talented corners at LSU, including White. He was awarded the #18 jersey during the off-season, given annually to the LSU player displaying a selfless attitude while representing the Tigers in a first-class manner both on and off the field. At 5-11 and 191lbs he’s not huge — but he shows great hip flexibility in back-pedal, water tight coverage skills and he plays the ball. Good in run defense and a sound tackler in the open field. He could end up battling Ohio State’s Eli Apple to be the first corner taken. NFL teams will fall over each other for White. He’s made a smooth transition to receiver. He’s being used in the backfield, in the slot, split out wide. He’ll throw the occasional pass this year. Urban Meyer’s using him in the same way he used Percy Harvin. His first catch against Virginia Tech was a fingertips-to-the-turf snag, he added a terrific sideline grab for a score and had that spin move on a run. Good frame yet tremendously athletic — a genuine game-changer. If he keeps developing there’s no reason why he can’t work into first or second round contention. There just aren’t many players with Wilson’s skillset. He’s 6-5 and 215lbs. He’s lean and fast. He’s a typical box-off receiver who uses body control and size to shield cornerbacks. He’s a great weapon to have if you need a short third down conversion, a red zone score or a downfield shot. He’s shown inconsistent hands at times (so did Kelvin Benjamin) but he also has a knack for big plays. There are some off-field question marks but he’s a basketball star playing in the NFL and teams are starting to covet this type of safety net. Impressed against a rock-solid LSU secondary making one acrobatic catch in tight coverage against Tre’Davious White (see above). Coleman battled cancer to take his chance at Auburn and against the odds he’s back on the field and performing as well as any offensive lineman in college. Inspiring backstory and never gave up despite combining fighting for his life along with trying to forge a football career. When he gets his hands on you it’s over. Smothering pass-blocker who loves to get to the second level. Can improve his kick-slide technique but there’s a lot to work with. If he isn’t playing left tackle in the NFL he’ll fit anywhere else on the O-line. Occasionally shows a similar aggressive edge to Ereck Flowers. Consistently moved the Oregon D-line to create running lanes on the left side. Worked very well with the left guard. Whether he converts to the NFL as a left tackle remains to be seen but he could easily transition to the right side with plus size and mobility. MSU’s best pro-prospect on a top-four caliber team. Ideal size (6-1, 200lbs) and very competitive. Has a nose for the ball and consistently gets into position to make a play. Another very smooth athlete who can mirror speed receivers and defend against bigger wide outs. Tackling can be a little suspect at times — especially on a weak attempt to bring down the Virginia Tech full back in week one (the play led to a touchdown). He should perform well at the combine and could easily be a top-15 pick. Watch the Texas game. He’s a thoroughly modern, explosive linebacker who can play multiple spots, has the speed to cover and work sideline-to-sideline. With the game moving towards a quicker pace including a lot of stretch runs and inside short-passing — Smith can do it all. There’s every chance he will be a very early pick much like Ryan Shazier in 2014. Has a chance to go high in round one. None of the quarterbacks have impressed enough so far to warrant first round talk. Connor Cook (QB, Michigan State) is the same player he was last year. He throws too many contested passes, tends to be wildly erratic at times and has no mobility. Against Oregon he had one ugly interception (overthrowing an open receiver) moments after hurling into double coverage for an incompletion. It seems desperation is forcing people to put him in the first round mix. He is not a day one talent based on what we’ve seen so far. Cardale Jones (QB, Ohio State) has probably the best arm talent of all the quarterbacks in college football. He throws a pretty spiral with good arm strength. Against Virginia Tech he had a couple of fantastic throws with almost no back-lift. When he’s on form he looks like a very early pick. He’s also surprisingly mobile for his size. However — he remains extremely inexperienced and it shows with some of his decision making. He had a lacklustre game against Hawaii with some wondering if J.T. Barrett would replace him as the starter. Ideally he’d have another year starting in college in 2016. Teams will also ask questions about his maturity and ability to handle the pressure of being a NFL quarterback. Putting your finger to your lips to the Virginia Tech fans from the sideline isn’t a good look. Teams pick up on little things like that when there’s so much focus on the QB position. Christian Hackenburg (QB, Penn State) is incredibly toolsy and looks the part of a pro-QB. He’s also the victim of a shambolic few years for Penn State. To his credit he didn’t walk away from the team after committing despite all the scandal and then Bill O’Brien’s departure. Even so, it’s not done his career much good. It might be preferable for Hackenburg to get into the league as soon as possible and just sit for a year or two as a developmental quarterback in a pass-friendly scheme. He has the talent. It just needs to be harnessed in the right way. Any team expecting to draft him in round one and have him start right away will be doing even more damage to what is clearly a very talented prospect. He is far from ready for the NFL. If he goes on day two to a team with an ageing franchise quarterback — that would be best for all concerned. There’s always time for a quarterback to emerge (Dak Prescott? Jacoby Brissett? Jared Goff?) but at the moment this looks like possibly a draft class without a first round QB. As is often the case during a down year for quarterbacks, the shortfall will be made up with multiple first round offensive linemen. It looks like another good class of receivers and there are several cornerbacks with first round potential aside from the two highlighted here. It feels almost necessary to look at big strong safety types given the current drama involving the Seahawks. I’m not sure how high USC’s Su’a Cravens goes but there’s some intrigue there. He’s big at 6-1 and 225lbs with a sack and a pick to his name already in 2015. He’s being touted as a possible linebacker covert — much like Kam Chancellor was at Virginia Tech. Eric Striker (LB, Oklahoma) and Vonn Bell (S, Ohio State) are two other possible targets. Striker in particular intrigues me. He’s a fantastic playmaker at linebacker for the Sooners but is a little light for the position at 6-1 and around 225lbs. A move to safety makes sense in the right scheme. One to monitor for sure.